Resolver helps with UK Gambling Complaints - Endorsed by the UKGC. 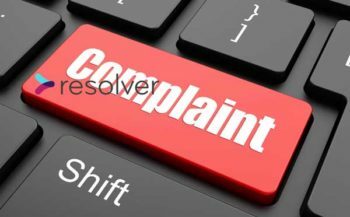 UK Gamblers are now be able to use the free online tool, Resolver, to help manage UK Gambling complaints against online bookmaker and casinos. Resolver steps you through the whole complaints process by first explaining your rights, helping you prepare Emails and then logging all correspondence in a case file. What’s impressed me most is the level of detail contained in the information gathering part of the process. It’s targeted at the gambling niche, so provides information and guidance on all the typical issue that arise when gambling online. The Resolver tool can also be used to help you handle complaints for anything else in life, so it’s worth taking a look if you’ve not used it before. The tool is being recommended by the UK Gambling Commission, who is the gaming regulator in the UK. Complaint and issue handling is a difficult process if you’re an online gambler. All licensed Casinos have to use an Alternative Dispute Resolution (ADR) service, which allows you to escalate your complaint for independent review. However, the ADR service is only able to help if the complaint is linked to a transaction. They won’t be able to assist you with a regulatory or customer service issue. There are also a number of online websites that provide a complaints service, such as Casinomeister, ThePogg and AskGamblers. These are independent services that will act on your behalf. They are not regulated services but do provide a good service to the player community and I can recommend them all. The Resolver service is different as you’ll be taken through the whole process and you’ll be the one dealing with the Casino through the Resolver website. Will it Work with All Casino Sites? 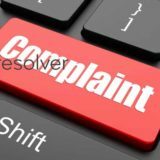 Resolver is a UK based website and is aimed at resolving players complaints at UK licensed gambling sites. If the site is not licensed then you have no rights if anything goes wrong.